Happy last day of January everyone!! Wow... did I just say last day of January??? Yikes!! 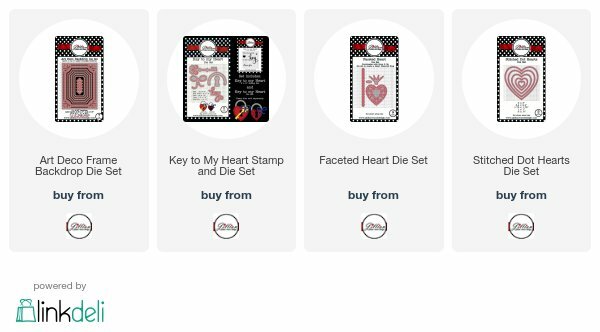 Valentines day will be here before you know it and so I have a Valentine to share using the new Key to My Heart stamp and die set! 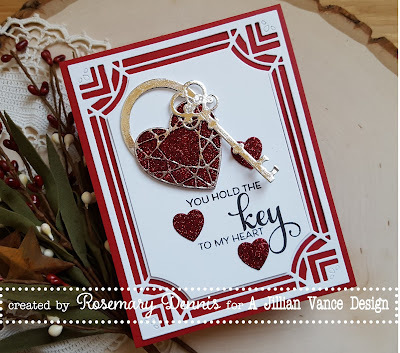 The new Key to My Heart set works well with the Faceted Heart die set, as well as the Stitched Dot Hearts. For my card today I used the heart from the Faceted Heart die set. I had watched a video tutorial on using microbeads with double sided adhesive and wanted to give the technique a try. I don't have microbeads, but I knew that the ultrafine glitter that I had would work just as well. After some trial and error I discovered that using colored cardstock with this technique allows the glitter to have more depth of color. The process is pretty simple, but a bit time consuming. 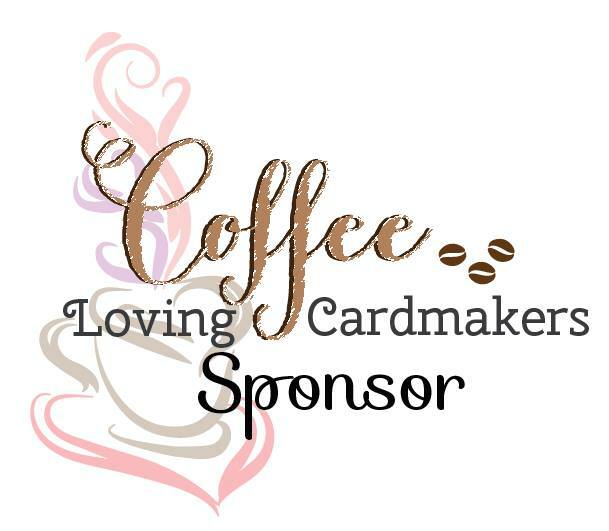 Adhere your cardstock to one side of the double sided adhesive (I used sheets from Scrapbook Adhesives by 3L) and then die cut your image from the side that still has the adhesive backing on it. Once that was done I carefully removed the outline of the heart to reveal the adhesive and then I applied some silver foil. The rest of the adhesive backing was removed and I poured on the glitter. To get the glitter to adhere better I put a piece of copy paper on top of the heart and burnished it with my bone folder. 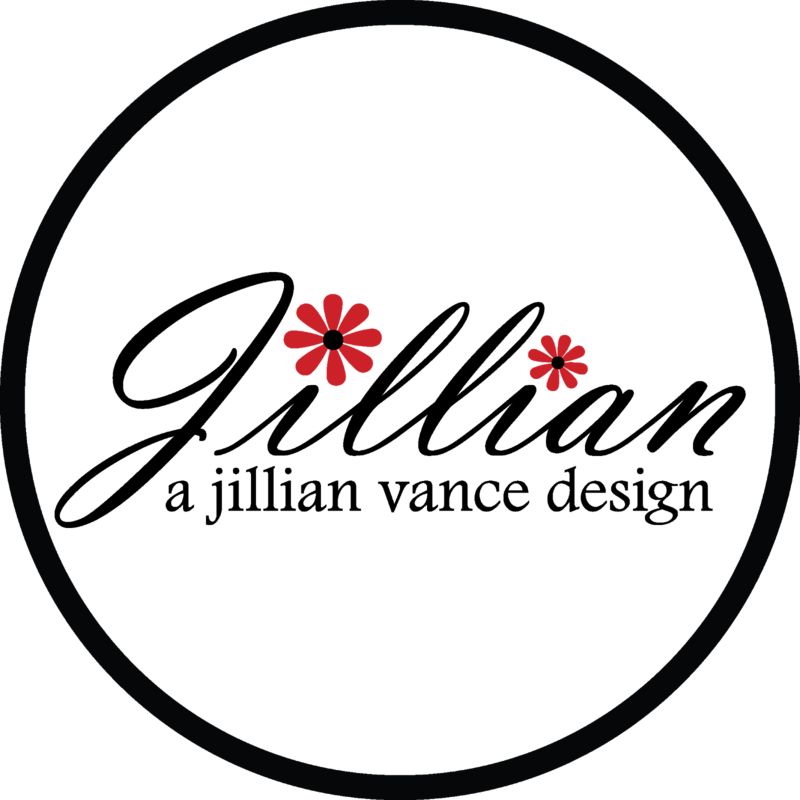 I repeated the process with the three small hearts that were die cut with the smallest heart from the Stitched Dot Heart die set. The key and the lock handle were die cut in the same way and then silver foil applied. To give the card a bit of elegance I used the Art Deco Frame Backdrop dies and cut the frames from white cardstock. I adhered the lock handle and key to the heart and then placed them on the center piece so I could determine where to stamp the sentiment. I stamped the sentiment and then adhered the heart lock/key embellishment and the three red hearts. The frame was adhered to a red cardstock base and then the center piece was adhered using foam dimensionals. I just love the technique I shared today and have a ton of ideas for upcoming cards... so look out for lots of glitter, lol!! Going to add this to the current Simon Says Stamp Wednesday challenge of anything goes. The sparkle is amazing and I love the beautiful key! The frame gives this a wonderful masculine look. Terrific card Rosemary! Gorgeous card, Rosemary! I totally love that frame & all the glitter is so wonderful, especially for Valentines! I haven't done that technique in ages, although I have a lot of micro beads from when I started making cards. Maybe it's time to use them! Stunning with all the glitter, Rosemary! Just love how you used that faceted heart!! Gorgeous! Love all of the glitter and gold! Gorgeous card Rosemary, the glittered hearts and foiled key are absolutely fabulous! Love the frame too, absolutely stunning! !